It’s only the first week of February and already we’re preparing for the publication of 2019’s second issue. Today, though, let’s look back to January and enjoy the second video abstract from Issue 1, Kasia Paprocki talking about her paper “All That Is Solid Melts into the Bay: Anticipatory Ruination and Climate Change Adaptation”. This paper explores the shaping of Bangladesh’s southern coastal region, often framed as the most climate vulnerable place in the world, as a zone of climate crisis. As rising waters threaten communities inhabiting the low-lying coastal islands scattered across the deltaic plain, many within the government and donor community have identified shrimp aquaculture as a principal adaptation strategy. Shrimp aquaculture is integral to the dynamics of what Kasia calls “anticipatory ruination”, a discursive and material process of social and ecological destruction in anticipation of real or perceived threats. “All That Is Solid Melts into the Bay” elaborates anticipatory ruination as a process that both responds to and produces Bangladesh’s climate crisis. Kasia uses this concept to explore not only the dynamics taking place in Bangladesh’s delta region, but also the ways in which climate crisis is constituted more broadly. Kasia Paprocki is an Assistant Professor in Environment in the Department of Geography and Environment at the London School of Economics and Political Science. She received her PhD from the Department of Development Sociology at Cornell University in 2017. Her work engages with political ecology, development and agrarian change, social movements, and social reproduction to think about climate change, shrimp aquaculture and food sovereignty, and microcredit in South Asia, particularly Bangladesh. 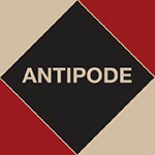 Volume 51, Issue 1 of Antipode is free to access online now. Throughout 2019 we’ll be celebrating 50 years of our radical journal of geography, starting with the publication soon of Keywords in Radical Geography: Antipode at 50. To celebrate Antipode’s 50th anniversary, we’ve brought together 50 short keyword essays by a range of scholars at varying career stages who all, in some way, have some kind of affinity with the journal’s radical geographical project. The entries in this volume are diverse, eclectic, and to an extent random, however they all speak to our discipline’s past, present and future in exciting and suggestive ways. Contributors have taken unusual or novel terms, concepts or sets of ideas important to their research, and their essays discuss them in relation to radical and critical geography’s histories, current condition and possible future directions. This fractal, playful and provocative intervention in the field stands as a fitting testimony to the role that Antipode has played in the generation of radical geographical engagement with the world. This entry was posted on 6 February 2019 by Antipode Editorial Office in Video Abstracts and tagged adaptation, anticipation, anticipatory ruination, Bangladesh, Bay of Bengal, climate change, climate crisis, development, ecological degradation, microcredit, political ecology, resilience, shrimp aquaculture, social movements, South Asia, vulnerability to climate change.